The Upper Elementary Program for levels 4 – 5 builds on the content of the Lower Elementary global curriculum, expanding students’ awareness of their place in the world’s history. School an extended home, a place where you develop your confidence and skills for a great future. 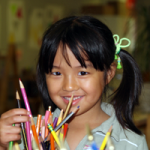 Elementary years in a child’s life is a very important period and we believe is crucial in shaping an individual. We as a family have moved quite a bit and have had the pleasure of being a part of three great Montessori communities in the country. It was very important for our family to find the best elementary school when we moved to San Diego last year. When we met the teachers and the administrators during our first visit to Country Montessori, we knew we had found Rithvik’s extended home. School and home go hand in hand, it is imperative that both the places work hand in hand to provide the best for a child’s education. We believe you can get a great education anywhere in the world, but you need to have a great community to bring the best in a child and to grow the confidence for a great future in what every your child pursues later on in life. To work and collaborate in groups; to develop your social and Intellectual skills, it is not only essential to have a great community but great teachers. A community filled with love and compassion, to correct the little minds when they are wrong and to let them know that it is ok to make mistakes and guide them in the right direction is significant. 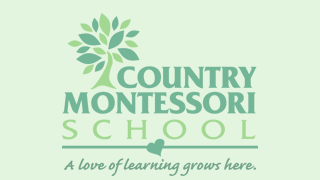 We are privileged to be part of Country Montessori community and the experiences that our son has experienced for the past couple years a home away from home. At Country Montessori School, language is seen as the thread that runs through every aspect of our integrated Montessori curriculum. The Language Arts curriculum in Upper Elementary emphasizes language as an art of communication. Over the three year cycle, students become proficient readers, writers, speakers, editors, authors, critics and poets. They learn and practice specific skills in grammar, punctuation, sentence structure, syntax, and expression in a range of contexts including small and large group lessons, independent work, writing prompts, journal writing, research projects, oral presentations, portfolio reflections and literature analysis. Through a variety of literary forms, including biographies, short stories, novels, poems, essays, editorials, news articles and their own autobiographies, our students observe and analyze models of effective communication. Literature circles are fundamental components of our Language Arts program. Students engage in in-depth analysis of texts, assuming the role of writer, critic or main characters, often acting out individual character roles as a group. Several literature circles are in progress at any given time to meet the needs of the range of learners in our Upper Elementary class. Our students are exposed to primary sources in science and history and secondary sources across the entire curriculum. All of these texts provide opportunities to apply skills in Language Arts, including comprehension, fluency, inferential reasoning, identifying cause and effect, author’s purpose, making predictions, analyzing characters and identifying themes. All sources help build vocabulary and enhance the understanding of parts of speech, word formation and sentence and paragraph structure. 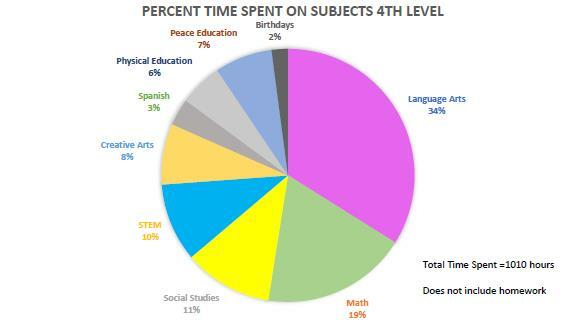 Our Upper Elementary math curriculum emphasizes the relationship of math to everyday life using critical thinking skills and problem solving techniques. Students’ need for manipulative materials decreases as they learn to internalize abstract concepts. The three year math cycle builds a foundation of skills and concepts that the students will use in their future studies of algebra, geometry, statistics and trigonometry. Our students are assessed independently on their mathematical skills and are guided through an individualized mathematics program where they work extensively with the following concepts, skills and applications, adding layers of complexity as they master each level. Another major area of focus in our math curriculum is plane geometry. Building on the foundation from Lower Elementary, our Upper Elementary geometry program includes a more intensive exploration of angles, their relationship to each other, how to measure them, how to construct them, and how they relate to geometric shapes. Through Montessori exercises, our students discover formulas and explore strategies for working with concepts of congruency, similarity, and equivalency and apply these concepts to identifying the relationship of various geometric figures and determining area for advanced polygons. Our solid geometry curriculum provides the students with the opportunity to secure mastery of properties of three dimensional straight line and curved figures. Using Montessori materials, they explore methods to determine surface area and volume arriving at theorems and formulas which can be applied to solving problems. Zoology and botany are joined to become the study of biology. Older students are introduced to the broader and more inclusive Five Kingdoms (prokaryotes, protests, fungi, animal and plant), and do a variety of written researches, projects and experiments for each of the kingdoms. They study cells, cell structure and function in depth. They design their own cell models. They also look at plant tissues and their functions. Non-flowering plants and their methods of reproduction are presented at this level. Students also study human anatomy and look at comparative functions of animals systems. Nomenclatures, charts, research cards, books and other resources and materials aid in the presentation of these subjects and the independent research and experiments that follow. The Upper Elementary curriculum for social and cultural studies includes the disciplines of geography and history. Our geography curriculum is designed to show how the physical configurations of the earth contribute to history. It includes a study of physical geography, political geography and economic geography. Students learn, compare and contrast the themes of geography that impact societies’ growth and development, including location, place, interactions of people and environments, movements and regions. 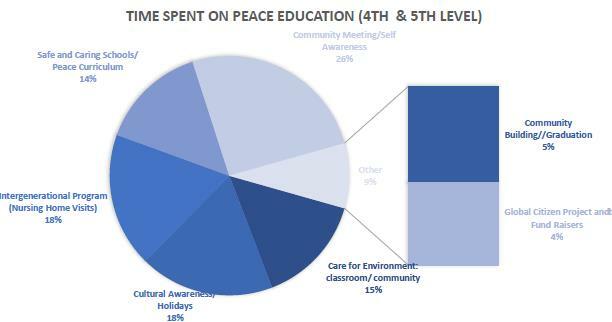 Our students expand on their knowledge of political boundaries, map skills, cultures, communities and basic human needs. Our Upper Elementary history curriculum carries forth from the Lower Elementary foundation of the Time-line of Life to focus on the Coming of Humans and the ensuing rise of civilizations, including our own. Our history themes are presented in three year cycles, allowing students to build a foundation of knowledge for historic comparison and contrast. Our goal is to enable students to see history as a discipline that has meaning in their lives and to understand their own place in history. Children at the Upper Elementary age demonstrate an intense desire to develop strong connections with their peers. They take increasing responsibility for their own conduct in personal relationships as well as in caring for the environment. The 9 – 11 years are a time when the child is developing and establishing a sense of justice and moral reasoning. As a member of our classroom community, our students play an active role in decision making and conflict resolution. Questions of right and wrong are considered as a group in their daily community meetings which serve as arenas to express issues and feelings. These discussions also allow rules and procedures to be developed in order to recognize and respect others. These class meetings encourage co-operative effort and allow the students the opportunity to acknowledge one another, expressing gratitude for their support and friendships. Through all this work, our Upper elementary students develop strong interpersonal skills. They come to understand who they are and why and how they are valuable beings. They construct themselves as individuals and contributing members of the human race. interests (including pets) during the Friday Community Meeting. * Before and After Care (Childcare) is offered at $7.00 per hour. Pick up after 6:00 pm is considered late, a $1.00 late fee for every minute after 6:00 pm will be charged.